The Silk Mill in Hawley has been a vital part of this community since its construction in 1880. Its many incarnations over the years have included a silk factory with the foremost technology of the day, a textile factory, and antique center. Never has it been more vibrant than today. The vision for the repurposed factory is to have a center that celebrates the lifestyle of the Pocono Lake Region – a place for the residents and visitors alike to shop, gather, eat, exercise, and learn. The design of the ground floor Retail Center is the creation of renowned architect, Peter Bohlin, known for his creative Apple retail store designs. The glass partitions dividing the spaces allow the natural light from the River Gorge behind the Mill to spill over into the retail spaces. Here you will find a Market and Bakery with Specialty Beers, Several Galleries, Unique Small Shops featuring clothing, shoes, antiques and home accessories. For fitness lovers there is a Bicycle Shop and to top it off Lake Region Fitness Center hosts a full service gym complete with spin, yoga and a full array of classes. Today’s Silk Mill is a fine place to work thanks to the fiber optics, design and technology in the building, The second floor is the home to varied professionals including law, medicine, finance, technology, real estate and design. Lackawanna College, the only campus is both Wayne and Pike Counties, occupies the entire top floor of the Mill offering two year associate degrees in a state of the art educational environment. The passions of the investors for Preservation, Conservation, Education and Degustation are the values that have shaped the Hawley Silk Mill. The Bellemonte Silk Mill was built by Dexter. Lambert & Co. at a cost of $130,000. The factory shaped like a Greek cross, 364 feet by 44 feet with a 20 foot central extension, 80 feet high at its northern end. The interior of the building was an open floor design to accommodate mill work machinery and workers. The support framing for each floor is steel beams supporting the floors are wood joist covered by wood sub floor over which is maple hard wood flooring. 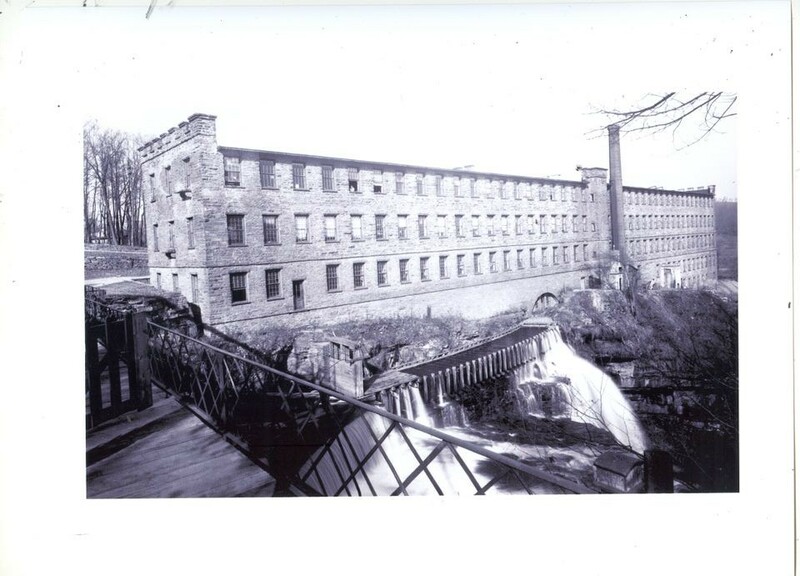 The Mill machinery was driven by a 61 foot water wheel in the center of the back of the mill powered by the natural fall of the Wallenpaupack. Although the water wood aqueduct from the river to the mills is no longer in existence the water tunnel is still intact in the building. The building was heated by steam, originally coal powered; the lighting was gas originally to provide superior diffuse light for running looms. Bellemonte Silk Mill began operations. It employed 500 young women ages 8 to 17. A boarding house for the Bellemonte employees was under construction. The wood building was 37 by 74 feet and stood three stories tall. 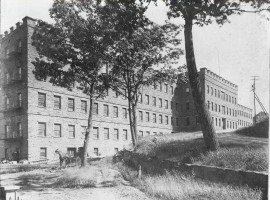 There was also , a recreation hall for the employees built to the immediate right of the factory as seen from the front, along the falls. A fire devastated the Bellmonte Silk Mill. About 300 people were thrown out of work and losses reached an estimated $80,000. The silk, valued at $175,000 was spared, across the road in the cocoon building. The factory was immediately rebuilt on the same dimensions. 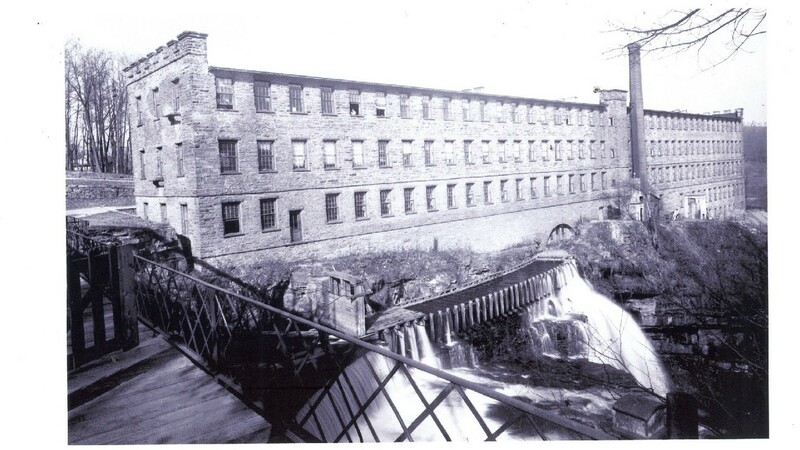 The Welwood Silk Mill was set to install electrical motors to run the plant instead of the water turbine. The reason was the anticipated completion of PPL’s dam at Wilsonville, which would dam the creek and reduce it to the relative trickle it is today. Several thousands of dollars was to be spent on motors for the various sections of the mill including wiring throughout. 1929 Wayne Silk Mills, Inc. purchased Welwood Silk Mill Co.
1943 Purchased by The Vacca, Textile Business. 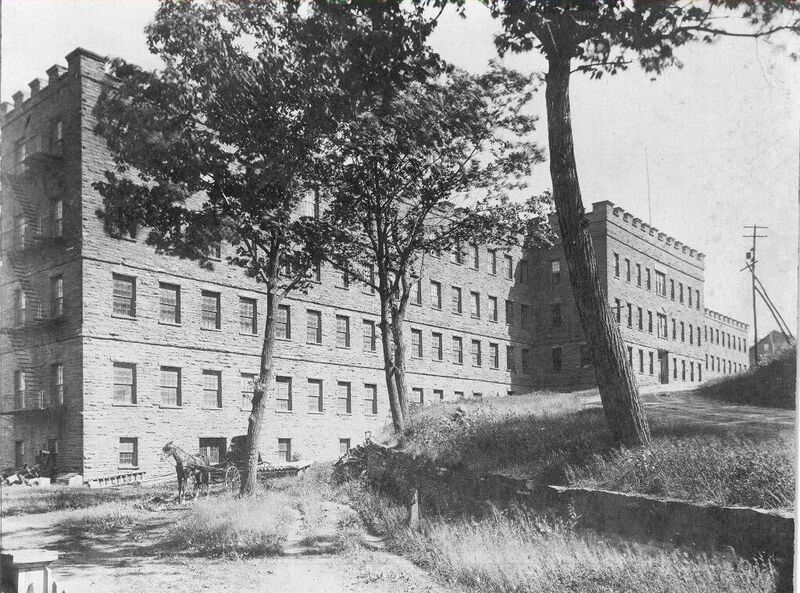 1956 Leased to Sherman Underwear Mill, a division of Top Forms Mills took over the operation of factory. Sherman’s employed 250 workers and shipped 750,000 dozen ladies briefs. 1972 Kinney Shoes a sub-division of F.W. Woolworth bought it back from Sherman’s. 1989 The Building was purchased by Kingdom Reality for antique business. 1990 Castle Antiques & Reproductions started operations in the building. 1994 The old water tower next to the stone storage building was taken down to put up a metal storage building. 2009 The current developers took over the Castle, heralding a new chapter and promise of economic revitalization. 2010 The Cocoon Coffee Shop opened in the stone storage building which once was used for storing silk and cocoons. The metal structure was taken down. Lackawanna, Community College opened on the top floor. 2011 Numerous other professional office and commercial tenants moved in to the building, including The News Eagle in June 2011. The Hawley Silk Mill has recently been added to the National Register of Historic. Places. The project is finishing the second of three phases, the entirety of which is expected to cost 5–7 million dollars, which is being invested in the local economy.